Why get stuck in traffic on the roads, if you can travel to a neighbouring emirate in a sea taxi? Residents across the UAE might soon be seeing this new option for travel between the emirates, as talks are currently under way between different transport authorities and developers. Speaking to Khaleej Times at an event on Tuesday, Sultan Al Shakrah, chief executive officer at Sharjah Oasis Real Estate Development, revealed that the plans for a marina at their Sharjah Waterfront City development could in the future include 'sea taxis' to ferry residents and visitors between Dubai Marina and Sharjah. "We are seeing a growing interest among residents to stay in Sharjah," he said. "For this to happen, we have to ensure that residents are not inconvenienced by long commuting times to other emirates. To help residents that will be living at Sharjah Waterfront City, avoid getting stuck in traffic, we have devised a proposal for the RTA for sea taxis. We estimate that the time of travel between Dubai Marina and the marina at Sharjah Waterfront City to be between 20-40 minutes. People travelling between the two emirates can commute using a combination of the sea taxis and the bus and metro network." Mohamad Chadi Itani, media and marketing consultant at Sharjah Oasis Real Estate Development, however, was quick to point out that the developer was still in talks with the RTA. "Right now, we have just pitched the proposal, so further details will come as progress is made on how the concept will work. However, we are confident that this proposal will offer a significant contribution to anyone commuting." He added: "The good thing about this mode of transportation is that you can go from Dubai Marina to any other marina in the emirates. There is no reason to be limited to just travel between Dubai and Sharjah. 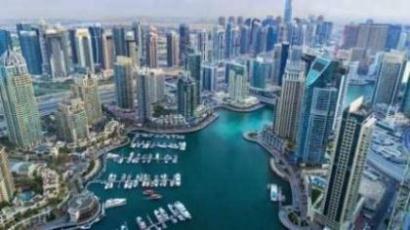 A network can be created between marinas in emirates with beach developments such as Ras Al Khaimah and even Abu Dhabi. The idea can be revolutionary if it gets the green light." The marina that is planned for Sharjah Waterfront City currently has a designated area for 800 berths, and plans for a water taxi station in that location are still in the works.